You know the thing I mean, when it suddenly goes dark in the middle of the day and looks all fiery. Stars come out in the daytime and animals go crazy. When silly people pray extra hard for some reason. I swear the Moon is involved. It looks like this…. Ah yes the solar eclipse, the rare event that only occurs because the Sun is both 400 times wider and 400 times more distant than the Moon. It’s a mathematically beautiful event that only occurs every 5 years on average. And when it does happen, the total coverage of the Sun only lasts for about 10 minutes in a very small region somewhere on the Earth. Before we had the scientific understanding to predict such an event, it was truly a rare sight for a human being to see one. Even in this day and age, it takes a significant effort to travel to where the totality (as it’s called) will occur. If you aren’t in the south pacific, you can certainly watch the Slooh TV live stream here. It’s the next best thing if you can’t be there, though everyone who has seen it in real time says it’s an unforgettable experience. I plan to be in the US for next August, so I can cross it off my bucket list. Eclipses like this won’t happen a few million years from now. That’s because the Moon is slowly drifting away from the Earth. 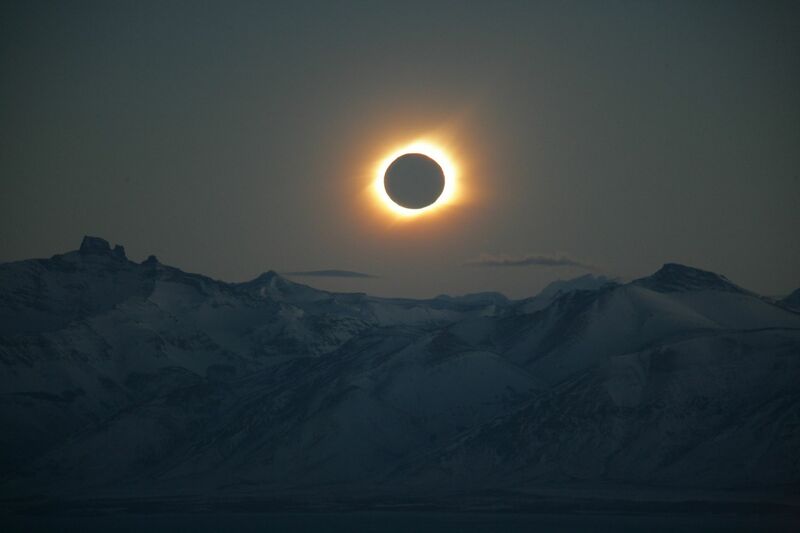 Eventually it will appear smaller than the Sun, and even though they will continue to line up every so often, it will look more like a ring eclipse than a total eclipse. We already see ring eclipses because the Moon does vary in it’s distance to the Earth during the year. So you might as well enjoy this rare spectacle. And just remember, if the Sun or Moon look a little weird, it’s not a doomsday omen, it’s just science you have yet to learn about.